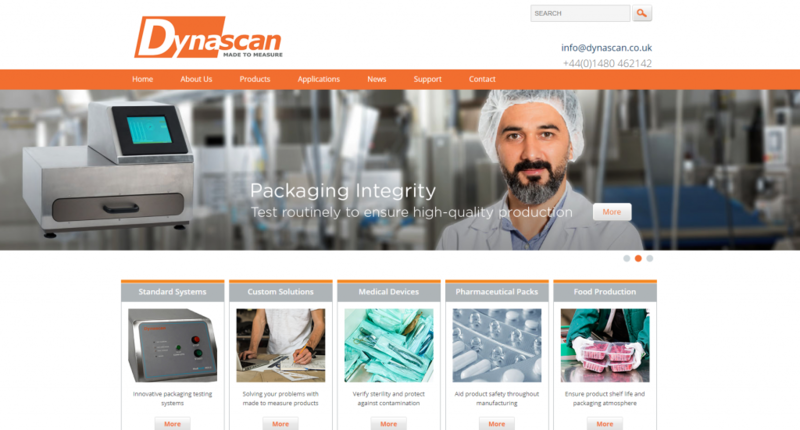 We are delighted to announce the launch of our brand new Dynascan website! Find out what has changed by viewing the new website today. As the leading packaging leak detection and seal integrity solutions, our team continues to be active in their ongoing research and design, passionate about providing efficient custom solutions, which has been appreciated by customers within some of the largest manufacturers. 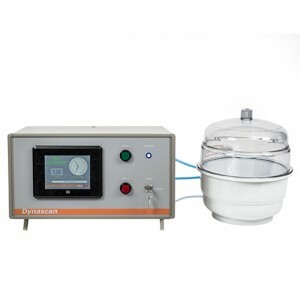 The Dynascan LeakVIEW visually detects leaks within packaging through either bubble emissions or burst testing. Any sealed packaging component with a head space can be fundamentally tested making it an essential piece of equipment for packaging facilities with the food, consumer and medical device industries. 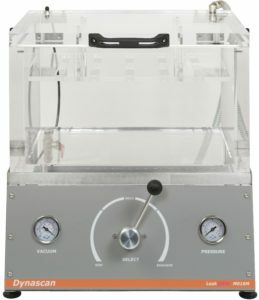 Enhanced by its clear perspex test chamber, the LeakVIEW provides optimum visual detection of leaks. User-friendly and low maintenance, the system can identify holes smaller than 20 microns and can operate in compliance with ASTM D3078 or ASTM F2096 standards. The MediBLUE automates the industry standard Methylene Blue Dye test, where packaging is submerged into a blue dye solution. The MediBLUE test chamber is placed under a vacuum that forces air from any openings within the packaging. After returning to an ambient pressure, the dye will penetrate and be evident within the pack should any holes be present. Blue dye testing has proven to be a popular package leak detection method due to it being simple, valid and reliable in addition to low capital costs. 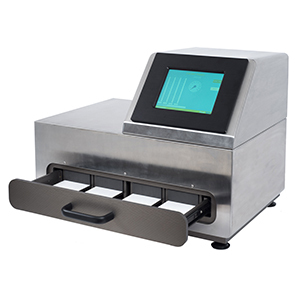 The MediTEST is an advanced, non-destructive seal integrity tester operating on the established principle of measuring reactive force generated by the packaging when subjected to vacuum. Weak seals or leakages are easily identifiable with the MediTEST range, efficiently highlighting any issues with quality assurance. Only a few seconds are required to detect holes down to ten microns, while the non-destructive nature of the test allows for flawless packaging to be reintroduced to the production line, significantly reducing waste and cost. Standard MediTEST systems are able to test either two, four or ten pouches simultaneously, with custom configurations available to meet your requirements. For any further information please visit our new website, email us on sales@dynascan.co.uk or call +44 (0)1480 462142. Alternatively, please use the LiveChat functionality on our website where we can provide real-time answers to enquiries.